One of the most frequent questions that I'm asked is about how to eat healthy (or even for me, gluten free) while traveling! It's a great question as it seems daunting for many to be able to stick to eating for their personal dietary needs or even attempting to stick to their healthy eating practices while traveling, but after several trips full of trial and error (hunger pains to "gluten poisoning" tummy aches), I think I have found some must have travel snacks for domestic and international travel. I'm highlighting some of my favorite travel snacks/foods that I've found work best for me, and even better, my DIY Cleanse business partner, Emily and I have created a full travel guide as one of our many bonuses when you download the cleanse! So if you've been waiting for the right moment to download your DIY Cleanse and join our community, I'd say the time is now! ;) Click HERE for your DIY Cleanse! 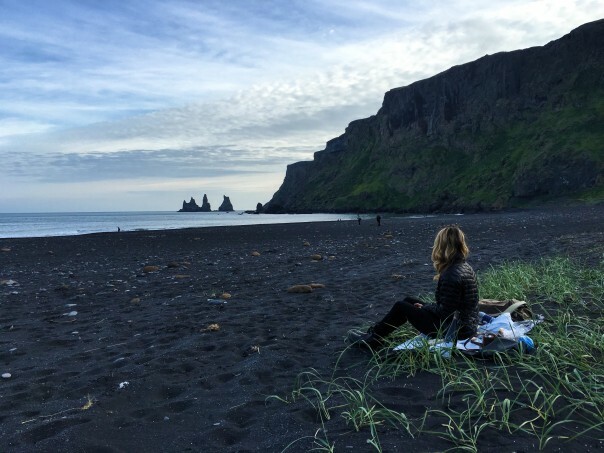 I just recently returned from some magical travels to Iceland, London, and Spain and fortunately there were several places that I found gluten free food and healthy options (I'll do a blog on this soon! ), but the long travel days on the plane, hanging in different airports, being in a rush to get to the next place, or in more rural or even emerging countries, feeding yourself can be tricky, so I always make sure I have my must have travel snack on hand. Perfect Bars: These bars are my absolute favorite to carry with me. I keep them in my refrigerator at home for last minute meals or snacks on the run because they are full of "real foods", protein, and they are not only filling, but tasty. I make sure I have at least one or two of these in my carry-on for travel day. Good bars are hard to find, especially ones that aren't full of tons of toxic ingredients and refined sugars. These bars have some sweetness to them, but all from whole and real ingredients! They're of course gluten free! My personal favorite is Almond Butter! Vega One All-In-One Nutritional Shake: I suggest these to every single client when they are heading out of town, because I know it's harder to get your greens (or even want to order your greens) when you're on the road or traveling around the world. This is not only a great protein shake (20 grams of plant based protein), but each packet contains 6 servings of greens, fiber, Omega 3's, antioxidants, probiotics, plus vitamins and minerals! The other best thing is, they're sweetened with stevia! I'm a huge fan, and ALWAYS have these with me when I travel to places like Africa, Mexico, and the Philippines when getting safe greens isn't a guarantee. These help keep everyone "regular" too! ;) I lived off of these blended with some fresh mango, made by Jorge while filming Bachelor in Paradise last summer, or I just shake them up with some filtered water when I'm anywhere else around the world. My personal favorite is the French Vanilla! Turkey Perky Jerky: I'm a person that needs animal protein, so protein bars and shakes don't cut it for me for long. So usually I buy a couple bags for my travels, and always have a bag in my carry-on for my travel day. I like this specific brand because they're gluten free, nitrate free, and no preservatives, and high protein. I'm still on the hunt for my absolute favorite brand that can say that they're organic and use a unrefined sugar. This particular brand contains brown sugar, which I normally avoid most refined sugars, but Turkey Perky Jerky works great for my travel days, my protein needs, and is very satisfying taste wise. Trail Mix: Another must for travels! You can even make your own. Having some raw & organic nuts, seeds, and dried fruit with you is the perfect pick me up, munchie craving fix, and a great go to for low blood sugar. Some of my favorites for trail mix are: Walnuts, Almonds, Cashews, Sunflower Seeds, Pepitas (Pumpkin Seeds), Goji Berries, Dried Cherries, dried mulberries. 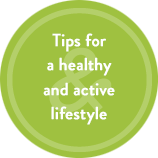 Keep your eye out for extra sugars added into pre-made trail mixes, that extra sugar can bring you down, rather than up! Justin's Nut Butters: I love any Nut Butter packet that I can take on the road with me. I'm not a huge peanut fan, so I lean towards Almond Butter (or even hazelnut). I carry lots of these and pair with fruit I might find at a starbucks or other coffee shop at the airport, a farmer's market, or convenient store on the road. I usually choose bananas because they feel a little safer to eat when you're unsure of the water and cleaning process where you're traveling. I also pair nut butters with veggies like carrots and celery when I come across some that are safe to eat. And there's nothing better to me than pairing a nut butter with some gluten free crackers (Mary's Gone Crackers are my choice, see below). The packets are easy to travel with, keep a couple in your carry-on and plenty in your suitcase! Mary's Gone Crackers: This is a nearly everyday snack for me. You won't only find these in my suitcase, but in my pantry. I've loved this brand from the day I went gluten free, but what's even better was when I went back to school for nutrition and learned what a great and clean product these are. I love their crackers, their thins, their pretzels, and their cookies. You will find whole grain, gluten free, real food ingredients! Also certified Non-GMO and Organic makes them even more of a plus. I carry these around to pair with lunch meats, cheeses, hummus, or nut butters when I'm in a restaurant needing a complex carb, or even enjoying a picnic on the beach, like my guy and I did in Iceland! Kale Chips: I'm a major chip addict. I love that crunch and I love a good salty fix. I especially crave salty things when I'm not getting all the minerals I'm used to in my normal everyday food or my normal Himalayan pink salt intake, so carrying some healthy crunchy munchies with me is a good idea for me. You can make your own (Click HERE for my recipe), or buy a couple bags to take with you. Just be careful, these can turn into crumbs if you're throwing your bags around. And obviously, having a green munchie on the road with you is a total upgrade! Perfect Fit Protein: For a great tasting protein powder that mixes well with just water, I reach for Perfect Fit. This protein was created by my long time girlfriends, Karena & Katrina! I'm a fan of their protein because it's gluten free, organic, non-gmo, plant based (and without grains), sweetened with stevia, contains 15 grams of protein, and it's actually really tasty! You can obviously mix this up in a blender with other ingredients and add some greens, but if you're in a pinch and in need of some protein, just mix up with some water. Great flavors and travel packets adds to the appeal to me. Stur (liquid water enhancer): We need to be drinking lots of water my friends, and we hardly get enough as it is, so add traveling in, it's often forgotten. And of course there are the flavored beverages that look refreshing and tasty, or even the sodas that for some reason look even better when out of the country, BUT hold it! Be careful drinking the sugary drinks, especially when traveling, because you're most likely dehydrated and your immune system is probably already compromised (sugar compromises your immune system even more), so Stur is a great addition to your travel bag! Just a couple drops of this in your water and you have a refreshing sweet drink. You're drinking your water and you don't even know it. Sweetened with stevia and using real fruit, you're in the clear with this quick trick. Stevia: I have a sweet tooth, but I do my best not to give into refined sugar, one of my weaknesses is at the coffee shop, the caramel and vanilla often call my name. I especially seem to crave more sugary things when traveling because I'm more tired, but instead of falling into the craving, I just carry some stevia with me to add into my Americano! Stevia is from a plant and as long as it's a good quality stevia and hasn't been tampered with by big commercial companies, it's the way to go to help sweeten up your coffee/tea beverages. I carry a liquid Stevia with me as well sometimes. 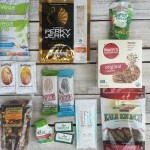 I hope my must have travel snacks list helps you feel even more confident when traveling gluten free or when you want to keep some of your healthy upgrades while you're traveling. And just so you know, when I'm traveling, I don't eat "perfect", I enjoy indulging in some of the cultural favorites, but these must haves help me feel confident going anywhere! What are some of YOUR travel favorites?! 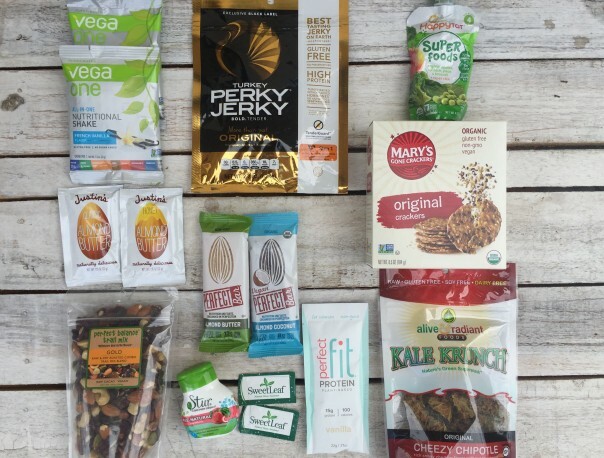 Where are you headed in your next travels and what will you be packing with you in your Must Have Travel Snacks bag?! Write in the comments below!